If there’s one thing I’ve asked most if not ALL of my mom tribe advice on it’s breastfeeding. Weird, right? NOPE! Not if you’ve been there— whether you’ve breastfeed for a day, week, month, or year, it’s key to have a network of people who have been there and done it! Today’s post is brought to you by my friend Elizabeth. And yes, she’s breastfed before! She’s also a registered dietitian, mom of one busy toddler, and expecting her second this summer! Not breastfeeding? No biggie! Be sure to check out the delicious recipe she shares at the end of the post—- you don’t have to be nursing to enjoy it! I’m so excited to be guest posting on Mom To Mom Nutrition today! My name is Elizabeth and I’m a registered dietitian nutritionist and blogger over at Enjoy Every Bite. Like Katie, I’m a busy mom trying to balance all of life’s responsibilities while attempting to keep things healthy and happy in my home. Today I’m talking about a subject that is near and dear to my heart, especially since baby #2 is just around the corner. I think I’ve touched enough on pregnancy diets and cravings over on my blog, so today I’m covering something new: breastfeeding nutrition (plus a healthy recipe perfect for you breastfeeding mamas). Even just thinking about my experience nursing my son gets me a little teary. I’m flooded with a rush of emotions from those early months – the initial pain, excitement when he finally latched, feeling so proud of my body, hours of tender cuddles, sleepless nights… I’m not sure it’s possible to prepare emotionally or mentally for breastfeeding and all that goes into caring for a newborn. However, it is possible to prepare physically by learning about your body’s nutrition needs during this critical time in both your life and your baby’s. There’s a reason why your body burns about 500 calories a day from breastfeeding; it’s working extra hard to produce that milk! Too often we focus on breastfeeding being the postpartum weight loss miracle. For many it is. I was one of the unlucky ones who actually had a difficult time losing weight while nursing, even using MyFitnessPal religiously for months and months. So let’s stop with the calorie counting and focus on what really matters: your food choices. When you eat the right foods you’ll get the nutrients your body needs to support lactation and will likely naturally lose weight as a result. High Protein Foods such as chicken, turkey, fish, and eggs. Dairy, legumes, and nuts are also healthy protein sources. Iron-Containing Foods such as beef, chicken, turkey, and enriched grains. Other good sources include cooked beans, broccoli, and spinach. Consuming these foods with vitamin C (found in citrus fruits and bell peppers, for example) helps to increase absorption. Foods High in Calcium such as dairy products and dark green veggies. Whole Grains such as brown rice, quinoa, oatmeal, and 100% whole wheat bread. Healthy Fats found in avocados, nuts, fish, oils, chia and flax seeds. Water Be sure to drink plenty of water while limiting soda and juice. Try drinking a glass of water every time you nurse your baby. Enjoying a diet that is overall high in fruits and veggies, healthy proteins, and healthy fats is key. The flavor of your breast milk will change depending on what you eat, so getting a variety of these foods will expose your baby to new flavors. Finding the time and energy to make healthy foods can seem overwhelming. I know Katie and I can both relate to those feelings! That’s why my recipe today is super easy to make and eat. Because let’s be honest, you’ll likely be eating this while nursing your baby. This yummy avocado chicken salad pita hits all the important nutrients while only taking a few minutes to prepare. With just a few ingredients and a whole lot of nutrition, these pitas will quickly become your new favorite lunch. Mix mashed avocado, chicken, and tomatoes in a small bowl. Season to taste with salt and pepper. Place cheese, spinach, and chicken salad mixture in pita. Amounts may vary depending on your preferences. Serve ½ pita with fruit and veggies. Go ahead and make yourself two if you're feeling like your breastfeeding body needs the extra calories and nutrition. What helps you keep a nutritious diet while breastfeeding? Elizabeth taught me a few things I hadn’t learned even in some of the books I’ve read in preparation for nursing. Thanks for reading Farrah!! Exactly Keisha! Being prepped with nutritious snacking items has helped me a ton too! Elizabeth rocks! Thanks for sharing such great tips and a delicious recipe to boot! Boy, do I remember the days of breastfeeding my twin girls and how hungry I was all the time! 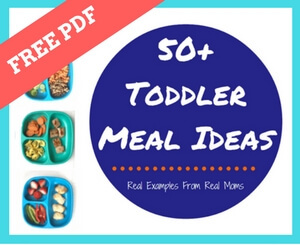 These are great tips and a wonderful recipe for moms! Omg! I can only imagine your hunger scale with nursing two kiddos. I feel like I could eat everything in sight some days!